Hello. My name is Marcin Bobola. My friends often say and laugh that I was born with passionate to fishing. I can say that I fish since I remember. Similar to many colleagues I started with float rod , but from many years I fish with fly and spinning. 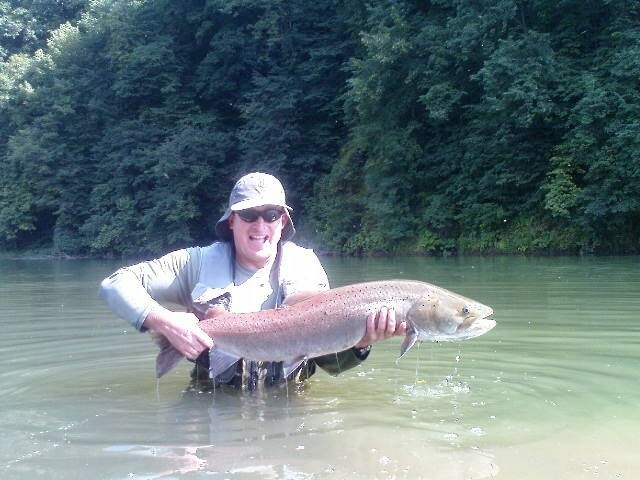 I fished Salmonid on many rivers across the whole world. I participated many fishing expeditions, for example: in Scandinavia , Balkans, Russia or New Zeeland. There is no place like” home ”. 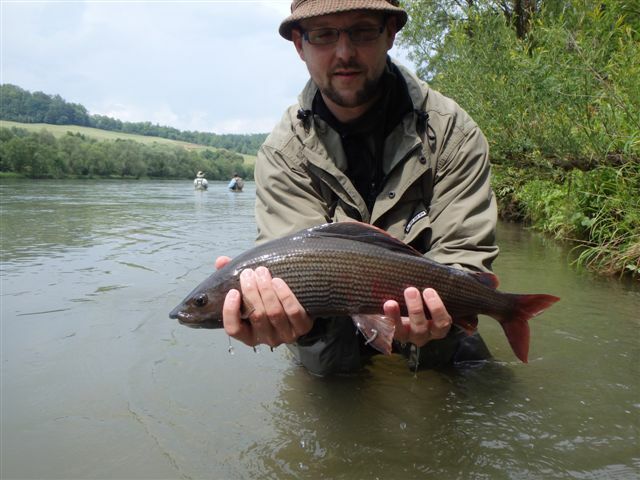 For those who are looking for wonderful moments on the grayling Eldorado we are welcome to one of the best rivers in Europe - San River. 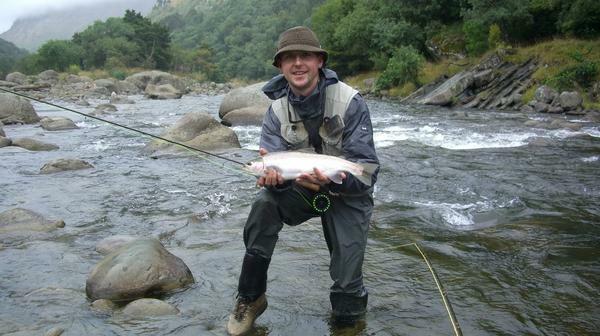 It is a perfect river for beginners and well experienced “fly man”. There is no deep and rapid streams, and on many parts you can wade on the whole riverbed. Catching impressive graylings on the special section there is nothing unusual. That situation looks similar with brown trouts. Fishes over 50 centimeters aren’t rare and they are regularly caught by anglers. If you would like to fish alone on less attended rivers I invite to : Wislok, Jasiolka, Wisloka. I know them like my own pocket. The best period on the up section of those rivers is spring and beginning of the summer. 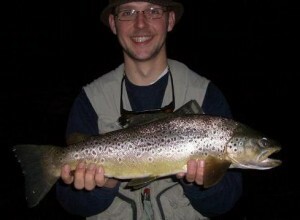 I mainly fish on spinning beautiful wild brown trouts. I welcome to my fisheries. Dunajec is the largest and one of the most beautiful rivers of southern Poland. 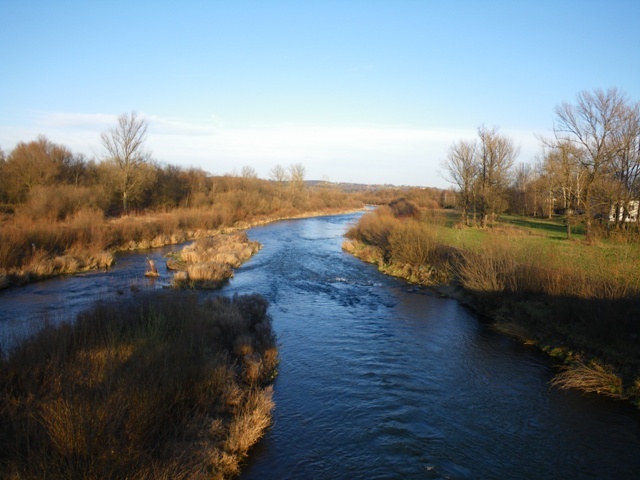 Particularly worthy of note is the section of the river from the river Krośnica to river Ochotnica. Dunajec flows there a narrow valley surrounded by mountains covered with mixed forest. This has its own unique charm. Especially in autumn, when the slopes of the Gorce claim to all shades of green, red and yellow. The nature of the river in this section is very diverse. Here are the natural rock sills, gusty rapids, fast and deep trough over five feet framed boulders, deep pits several meters wide with a quiet stream called here the “Bania” and the rocky foreground with varying depth. We can count on the fish all over the place. 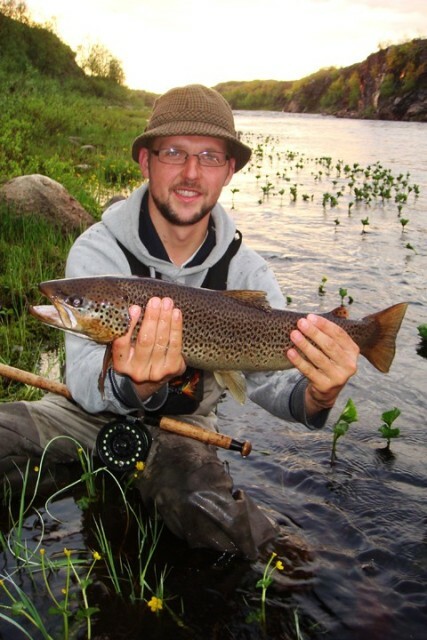 Frequently fly fishing anglers catch brown trout and grayling here. There are special sections of “catch and release“. 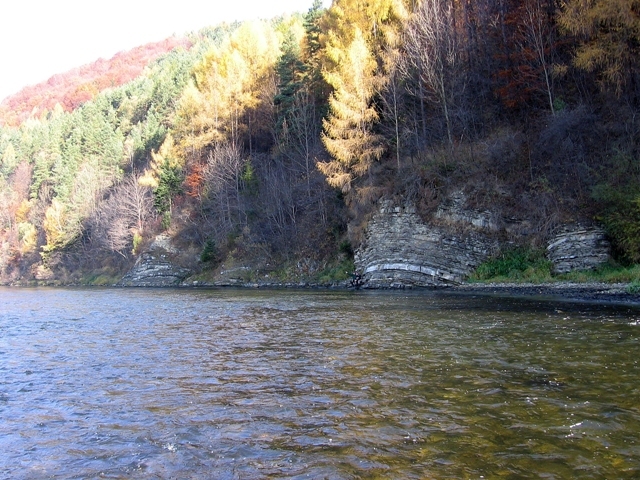 Trout caught here are generally from 30 to 45 cm. But you can catch brown trouts longer than 60 cm. Grayling comes from year to year. Already, we can meet the “cardinal“ with a length of over 45 cm. The most effective method of fishing for the day is a nymph and dry fly in the evenings. Queens of deep pits and large peaceful Danube salmon. Due to the size and depth of the river it is advisable to use a high waders with non-slip soles. 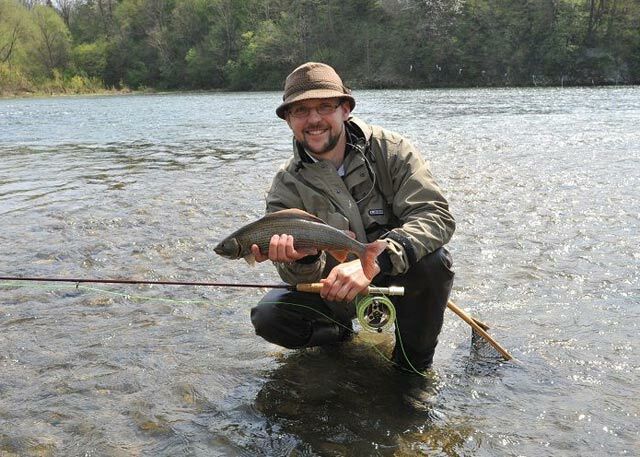 Dunajec river is great for anyone who wants to deal with overgrown trout or grayling, and maybe even hunt with fly fishing on Hucho Hucho (Danube). Welcome! 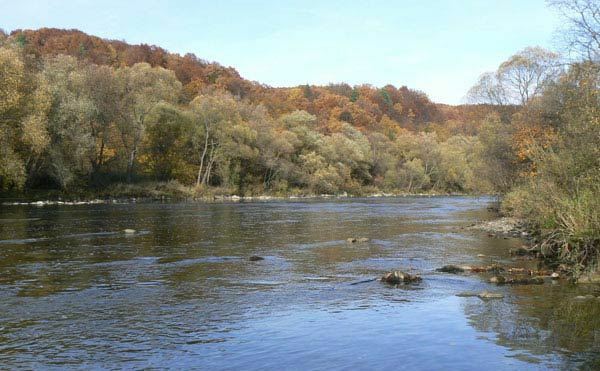 On the section Dobczyce – Gdow , Raba River, is interesting and full of fishes, fishery with “ Catch and Realise”. The host of it is PZW Krakow District. This medium size river vividly flows among hills. Riversides are overgrow with trees and clusters of wattle. The bottom is mainly rocky but there are some places full of gravel. Narrowness is possible to happen. Under the riverbanks quick streams are washing away deeper to 1,5 meters gutters, turns from the one bank to the other. Because the fishery is situated directly to the dam in Dobczyce, the water is all year cold and full of oxygen. That creates very good conditions for trouts and graylings. At the moment, the dominate species is brown trout. That is way this section is full of brown trouts. Mainly you can catch 30-45 centimeters long trouts. But you should be prepared to meet much longer individuals, even over half of the meter. 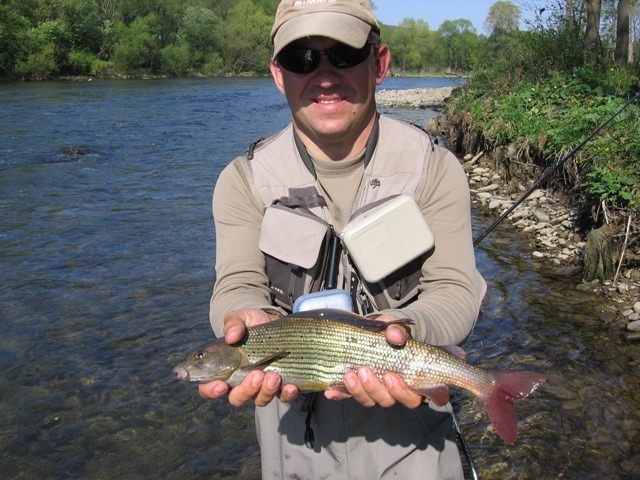 The other fish worth your attention at Raba River is grayling. Its population grows yearly. Unfortunately it is not easy to catch individual longer than 35 centimeters. Apart from brown trouts and graylings, you can might hunt : chubs, common dace and from time to time common nase barbells and asp. At this section only the fly fishing method is allowed. 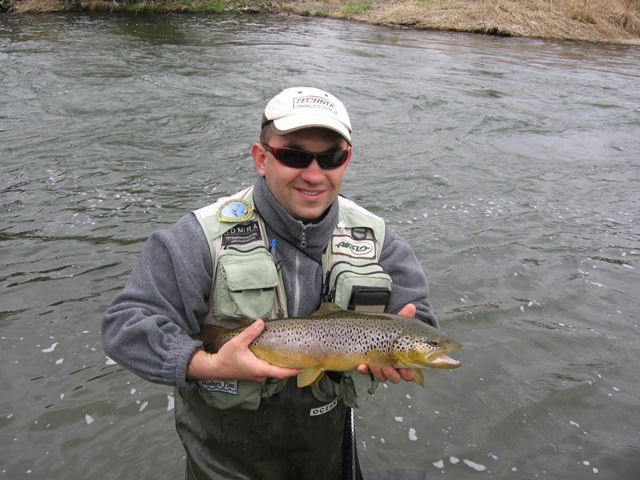 Brown trout is possible to catch by the streamer. Thanks to the nymphs we can catch brown trouts and graylings. Dry fly is useful during the hatches of insects. Excellent, but underestimated fishing method of local fishes is also wet fly. Especially during the summer evenings. Raba is perfect fishery for an angler who is ready for an adventure with large trout. Is also great place for start an adventure with fly rod or to improve your skills. The fishes are waiting for you. 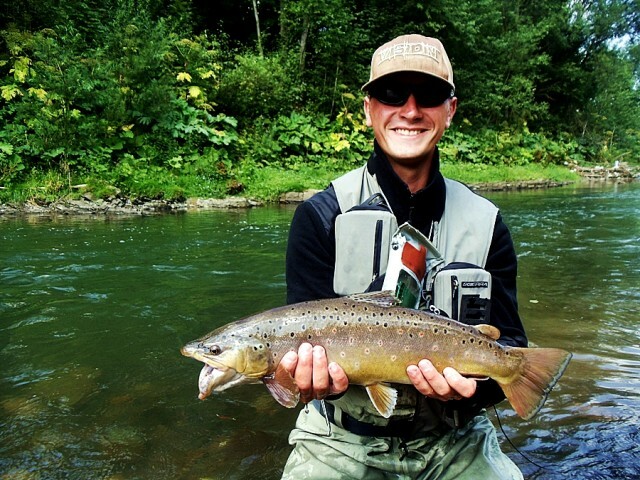 It’s one of Poland’s best fisheries for salmonid. This is a correct definition albeit it does not tell you the whole truth about this mountain river. The San is in fact one of Europe’s best fisheries for salmonid. Feel invited to fish for trout. The San is famous for its beautiful fish of this species. Is 40 centimeter the right size? We would be irresponsible to say that you will always catch such fish with us. But we are sure that your chances are vast. We would like to talk you into fly fishing. The San is famous especially for its huge grayling caught with artificial fly. Do you fear that you won’t make it? Come on, we will help you. Do you lack the equipment? No problem, we will lend it to you, learn basic things and show you the best spots in the water. We don’t guarantee that a one-day trip will end with beautiful trout or grayling. You mustn’t forget that trout are very cautious fish. Grayling do not have to get interested with the bait offered. We do guarantee, however that our guides regularly catch beautiful fish. They know which spots may be most effective in each season of the year. They have necessary experience to apply the proper bait. What more, they make perfect baits themselves. A beautiful chub may be a bycatch of such a trip. If you wish, you may focus on this brave fish. Feel invited. Consider a vacation as well. Bieszczady Mountains are a good place to stay with your whole family. Just find some time for fishing and get in touch with us.